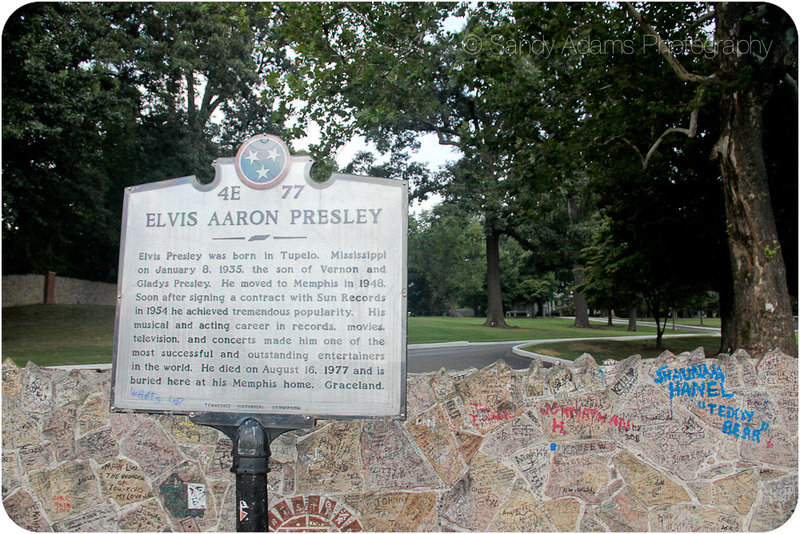 Sad day… 34 years ago today Elvis Presley died in Memphis at his home, Graceland. 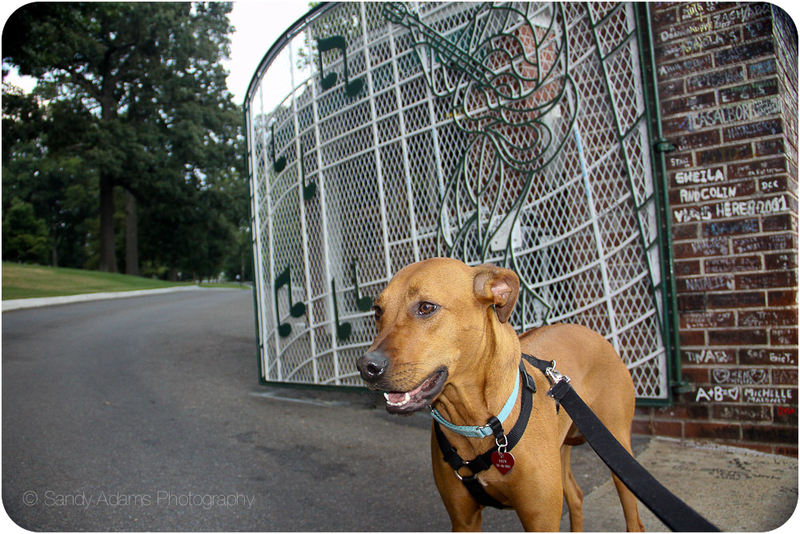 Last summer on my road trip with my mom, she took me to Graceland and I got to stand in front of the famous gate! 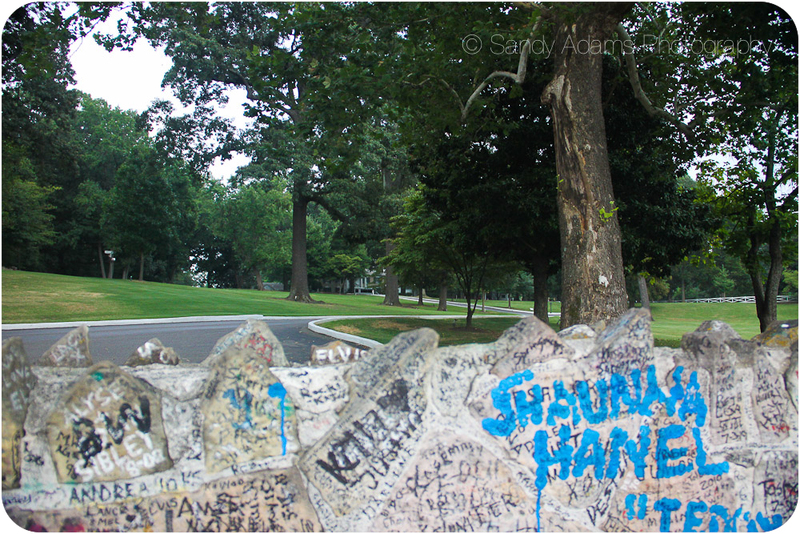 Graceland was so pretty even though it was really hot since it was middle of August when I was there. 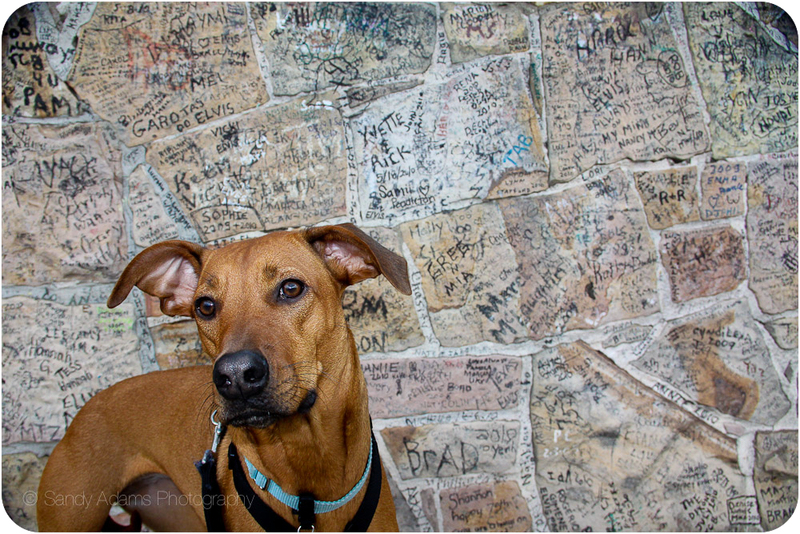 There were so many names on the wall and lots of folks visiting. 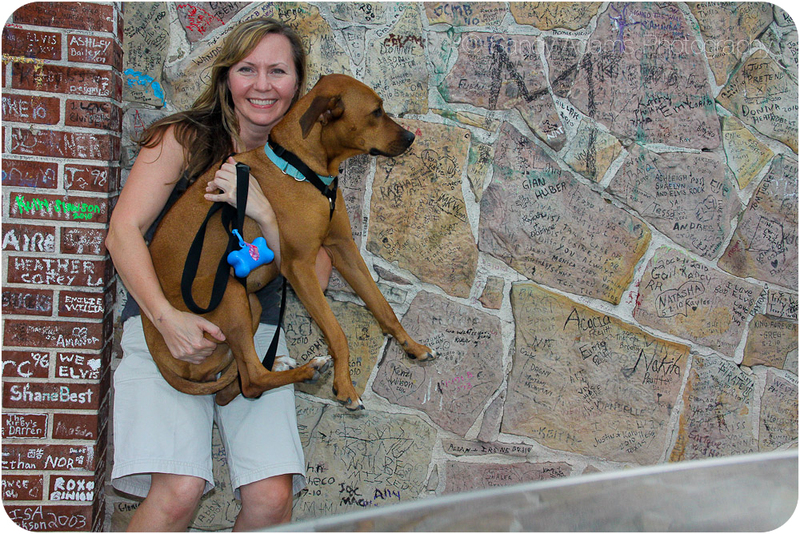 I was not scared a bit and loved standing outside the wall watching folks pose for pictures. I heard on the news this morning that 20,000 + folks were at the candlelight vigil last night – that is amazing! 2011 also marks the 55th anniversary of the release of his first 2 albums.